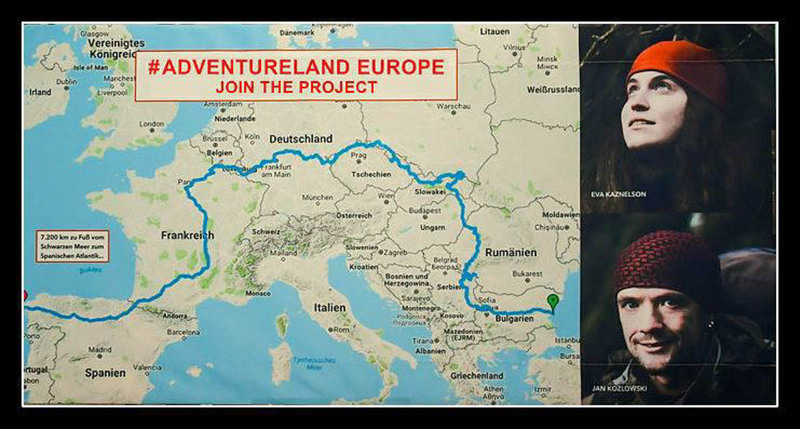 Next month, two inspiring people from Germany start a unique and year-long project, named Adventureland Europe. Jan and Eva will walk on foot from Bulgaria, across Europe, to Spain. Along this trip, they want to raise funds for regional charity projects through their own NGO “CNG – Culture, Nature and The Good Thing e.V.”. Therefore, Jan and Eva approached the European Wilderness Society and many other inspiring organisations to contribute to this unique experience. Adventureland Europe supports already over 20 different projects across Europe. Each project has its own story, and its own budget. Everybody can donate to their favourite projects, and the money goes directly there. When donating to some of the projects, you can help the European Wilderness Society in our work. Adventureland Europe supports several projects from the European Wilderness Society. First of all, you can help us to organise a sustainable tourism training to protect the Wilderness in Bulgaria. Also, at the border of Romania and Serbia, we will plan a conservation workshop for Lynx and Golden Jackal populations, by supporting collaboration, knowledge exchange and conservation management. Support our international lobby against illegal deforestation in Bialowieza forest, which has stopped for now. Furthermore, you can help a local NGO and the communities in Slovakia to a conflict-free existence with the bear, where we want to donate bear-proof garbage containers in the Tatra Mountains. In addition, you can help us finance a research expedition to certify and protect the wild forest of Boia Mica in Romania. Or likewise, donate so we can organise a workshop for rural communities on wildlife coexistence in Sumava, Czech Republic. Jan and Eva will walk 7 200 kilometers, that is almost 20 km per day on average. Their journey will travel across 11 different countries. As a result, it will take them to some remote wild areas and even Wilderness areas from the European Wilderness Network. Through various projects, the European Wilderness Society wants to initiate or support local communities, events or other activities in collaboration with CNG. They will share their adventure on their website and on social media. Make sure you follow their story, support their journey and donate to your favourite projects. Jan and Eva’s goal is to collect 10 cents for each step towards their final destination in Fisterra. Covering a distance of 7 200 km means that they aim to collect €720 000! So, your donation not only helps the projects financially, but also boosts their dedication to continue their trip. But you can help in more ways. Furthermore, join their hike along the way, challenge them for unique donations, or help in the projects. Find more information and the overview of the charity projects on the website of Adventureland Europe. In addition, make sure you follow Jan and Eva on their Facebook page. Also, read about our meeting with Jan in Slovakia here.